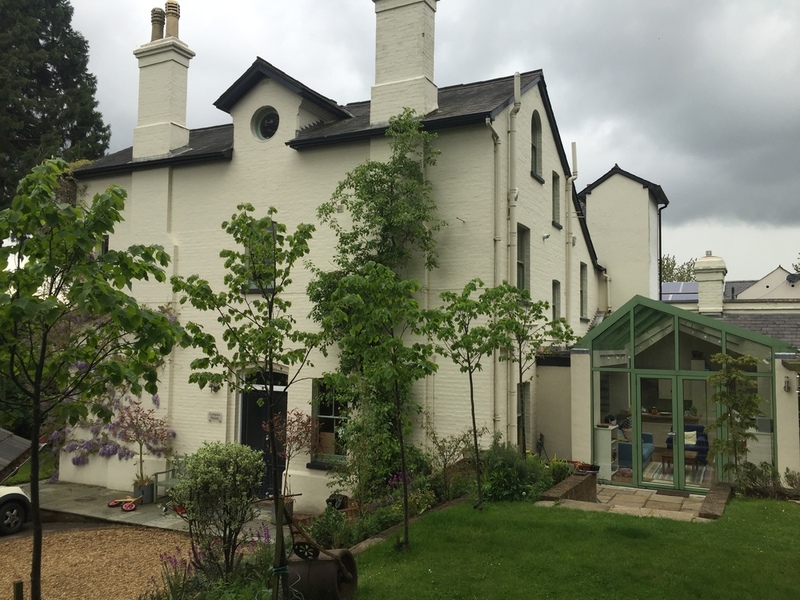 The clients of this stunning Victorian Villa wanted a relaxed softly planted garden with the feel of the country even though they are ina busy town. 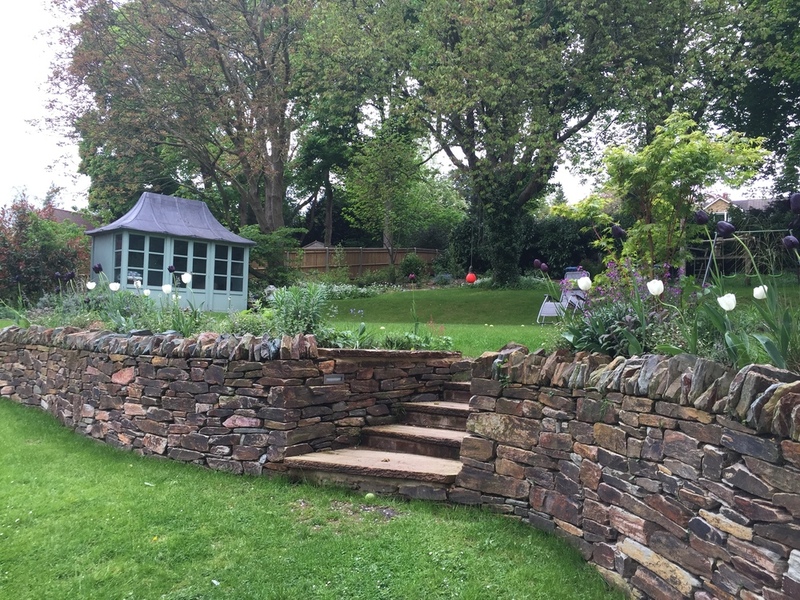 The garden is steeply sloped and they wanted a level lawn area. 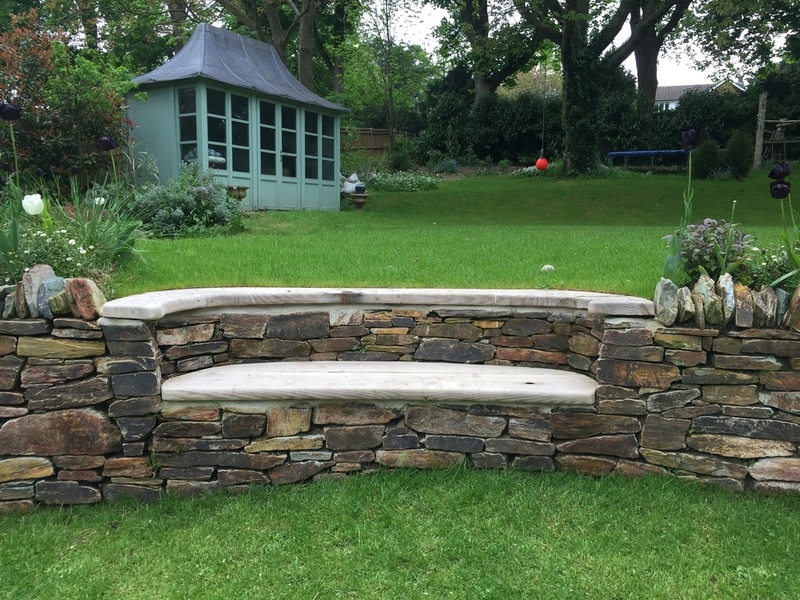 With the use of drystone retaining walls, and oak detailing the end result is timeless and features small seating areas in different aspects of the garden for different times of the day. The planting pallet includes shrubs and Acers, Euphorbia, Lavender, Tulips, Lime, Birch & Amerlanchier trees. We renovated the Wisteria on the house to provide a stunning display in Spring.